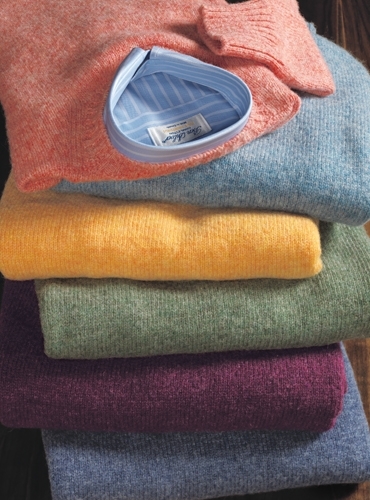 Our sweaters are cut in 100% Shetland wool grown and spun in the Shetland Isles. You can feel the wilds of those remote places in the untamed, marled and mélange colors. 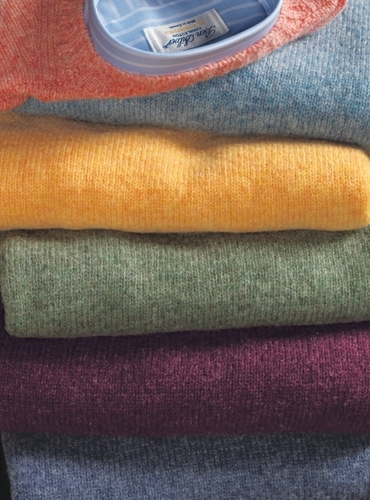 The eye-catching beauty of the Shetland wool is the incredible mix of color created in the weave. 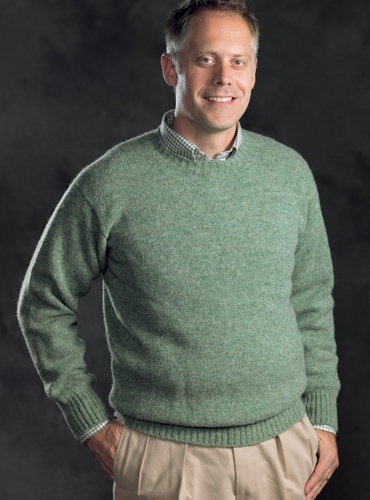 These sweaters have an easy fitting body, ribbed at the collar, with cuffs and waistband in a traditional 2x1 rib. This year’s selection of colors is unusually rich, from top to bottom: A-coral; B-sky; C-buttercup; D-sage; E-raspberry; F-denim. 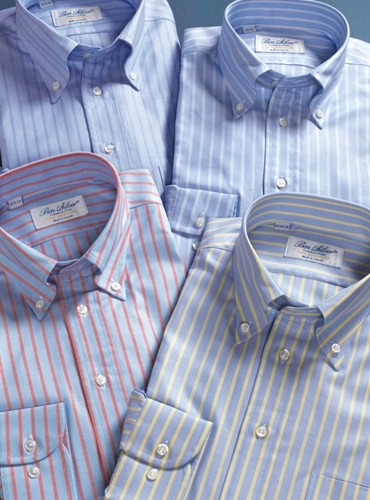 Shown with one of our striped oxford button shirts with a white stripe on blue ground. On model, D-sage sweater is featured.